The ENSUS – Meeting of Sustentability in Project took place in six edition: 2007, 2008, 2009, 2016, 2017 and 2018. It was coordinated in all of them by the professors Paulo Cesar Machado Ferroli and Lisiane Ilha Librelotto. In 2019, the event will be in its 7th edition. Organized by the professors Paulo Cesar Machado Ferroli, Lisiane Ilha Librelotto, Flávio Anthero Nunes Vianna dos Santos, Renato Buchelle Rodriguez e Jânio Vicente Rech, the 2nd edition of ENSUS was realized in 2008, in Balneário Camboriú/SC, in the Univali Campus. The same themes from the first edition were kept, mainting the focus in the study of sustainability under an ambiental, economical and social point of view applied to the project in the areas of Engineering, Architecture and Design. The attending public surpassed any expectations, totalling 377 registered participants, including supporting staff, commission for organization, speakers and scientific paper writers. Starting from this edition, the event had a three-day duration and hosted practical workshops and mini-courses. The third edition of ENSUS took place in 2009 in Balneário Camboriú/SC, in the Univali campus, and was organized by the professors Paulo César Machado Ferroli, Lisiane Ilha Librelotto and Flávio Anthero Nunes Vianna dos Santos. The same themes from the first edition were kept, mainting the focus in the study of sustainability under an ambiental, economical and social point of view applied to the project in the areas of Engineering, Architecture and Design. This edition brought international speakers and had 12 technical lectures, 1 round-table and 2 practical workshops. Also in this event was a publication of the best scientific papers in the scientific journal MIG – Revista Científica de Design. 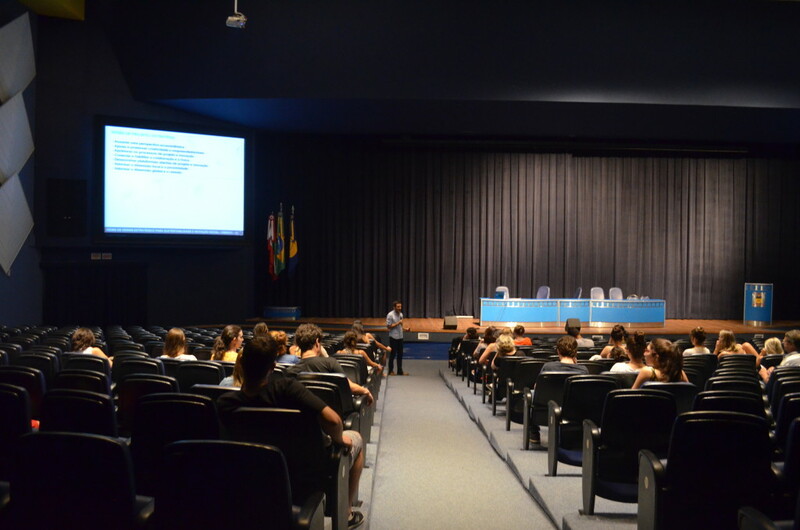 With a new home after a hiatus for adaptation, the ENSUS had its new edition in 2016, with the IV Encounter for Sustainability in Project, at the Universidade Federal de Santa Catarina in Florianópolis, taking place in the Center for Culture and Events in the Trindade Campus. Since then, it is promoted annualy in the campus. The event had more than 350 participants and published 90 scientific papers, and the 12 most well evaluated being published in the scientific journal Mix Sustentável (online and physical editions). With 32 speakers, the event presented different thematics of sustainability applied to projects. In the 18th, 19th, and 20th of 2018 another edition of the event took place in the Universidade Federal de Santa Catarina. The ENSUS 2018 hosted a diverse programme involving renomated speakers, round-tables, presentations of scientific papers and banners. The seventh edition of ENSUS will be held between 03 and 05 of May 2019, at the Federal University of Santa catarina. it will count on a diverse program that involves renowned speakers, round tables, article presentations and poster presentations.